Joseph Stanley Hoff, 86, of Ashby, died Thursday, February 7, 2019, at Ashby Assisted Living. Joe was born on January 12, 1933 on the family farm in St. Olaf Township, Battle Lake, MN, the son of Peter and Mary (Juvland) Hoff. He was baptized and confirmed at Bethel Lutheran Church. He attended country school and graduated from Ashby High School. After receiving his education, Joe farmed with his family before being drafted into the United States Army. He served from 1956 until 1958, and was stationed in Germany, where he was in the infantry and worked as a radio operator. Following his honorable discharge, he returned home to farm with his brother, Donald. On January 28, 1967, Joe married Norma (Belcourt) Foshaug at Bethel Lutheran Church, and they were blessed with four children. Joe retired from dairy farming and went to work for the National Farmers Organization as a sanitarian (milk inspector). In his later years, he drove for Peoples Express, taking people to appointments. In 2007, Joe and Norma moved into Ashby. In his spare time, Grandpa Joe enjoyed gardening, hunting, fishing, painting, making rugs, playing horseshoes, canning, and playing cards. He was active with the Ashby Senior Center, multiple horseshoe leagues, and was honored as Grant County Outstanding Senior Citizen in 2017. Most of all, he enjoyed spending time with his family. 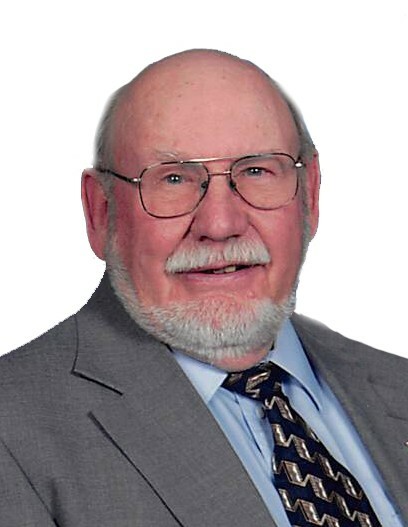 Joe is survived by his three daughters, Mary Ann (Harlan) Balgaard of Ashby, Barbara (Gary) Ohren of Battle Lake, and Sandra (James) Grandy of Brooklyn Center; son, Peter (Heidi) Hoff of Ashby; 10 grandchildren; 14 great-grandchildren, with three little ones on the way; a sister, Olga O’Donnell of Dalton; a brother, Robert Hoff of Underwood; and many nieces, nephews, and cousins. In addition to his parents, he was preceded in death by his wife, Norma; six siblings; and numerous in-laws. Memorials are preferred to the Bethel Lutheran Church Building Committee or the Ashby Senior Center. Visitation: 5 – 7 PM Tuesday, with a 6:30 PM Prayer Service, at Glende-Nilson Funeral Home in Ashby, and one hour prior to services at the church.